Recently, I’ve returned from a trip to Scotland and Northumberland. What surprised me about the North of England and Scotland is just how much empty space there is. Fields upon fields of land and yet everybody seems obsessed with building copious schemes in the south of England. Ridiculous. Ok, I knew this just by looking on the map, but was still shocked how quiet and empty the area is in real life. 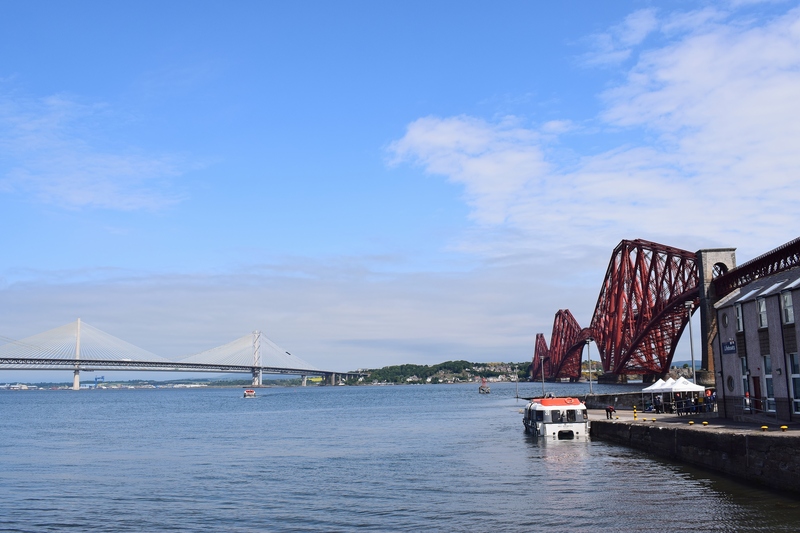 This post concentrates on the main places I visited but I enjoyed many walks, road trips and curious cafes too that are not all mentioned here. One of these was walking to see the Falls of Foyers which was quite exquisite. 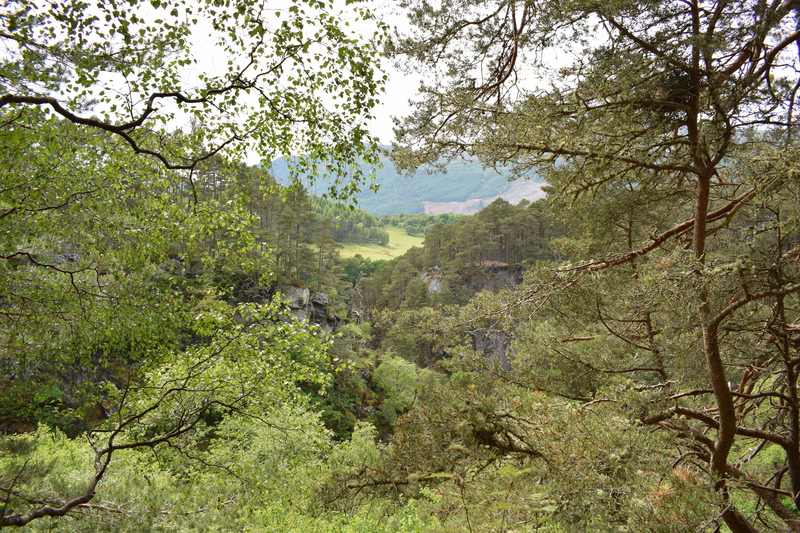 Burns and Wordsworth wrote fondly about the falls and beautiful scenery. I suspect the walk was more precarious in their time. 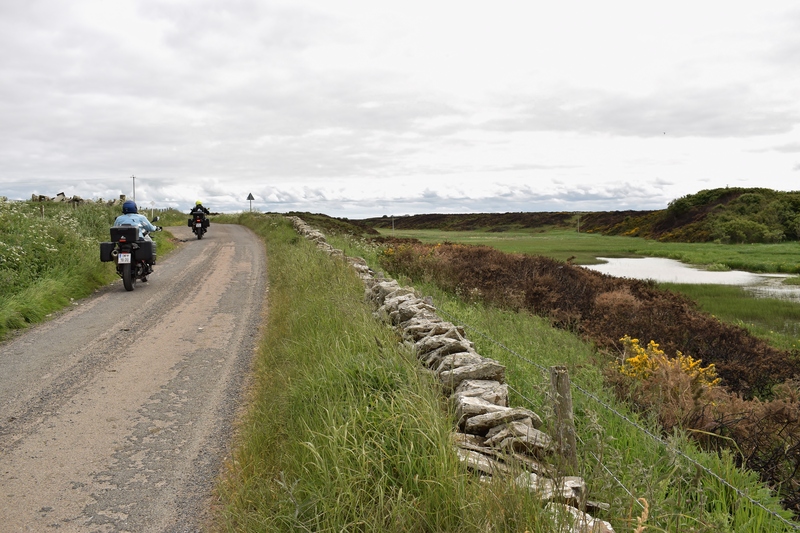 People were friendly and welcoming during my tour of Scotland and it was an excellent trip. The start of a long list of places to visit, across the world! 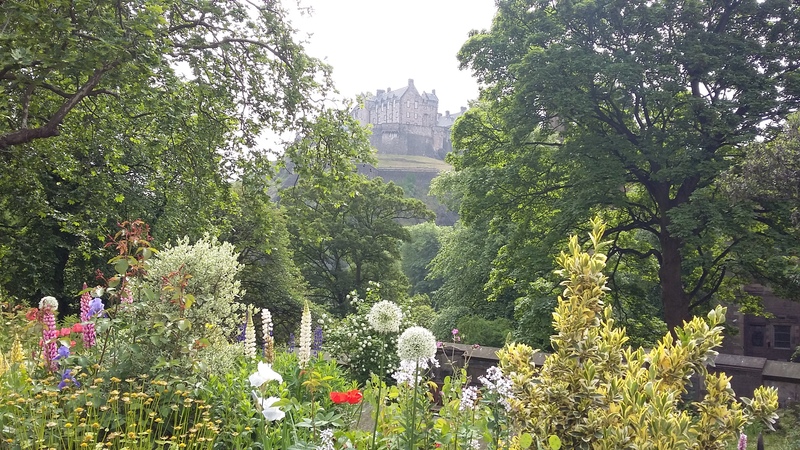 Firstly, I visited Edinburgh and enjoyed the bustle of the city with a great array of pubs, eateries and atmosphere. I stayed in a Bed and Breakfast near the city which wasn’t extortionately expensive, although the room was circa 1970s and the hardest bed I’ve ever attempted to sleep in. On the plus side, the breakfast was delicious and after a twenty minute stroll, I was in the centre of Edinburgh. One of the first things I did, was go on the open top bus, hop on and off facility. You have a great view of the city and go at the pace you want hopping off, as necessary. Many historical places are on the tour and as you listen to the tour guide, you obtain snippets of local information, that you may not hear otherwise. Palace of Holyroodhouse is an impressive building and founded as a monastery in the 12th century which is now used for state and official entertaining. The Royal Mile is famous because it goes up towards the Edinburgh Castle. This castle has seen many sieges and battles with royalty having died within the walls. The guide also points out famous pubs and restaurants which are worth visiting. I can recommend the Dome which is a magnificent, grand building with a beautiful glass domed ceiling, pillared arches and has a great selection of food, including afternoon teas and cocktails. A real treat. One of the humorous tales, as told by a lively and loud tour guide, is often it took so long to travel from Edinburgh to London, with the poor people precariously perched on top of the horse and carriage, that the proprietors of the coaching company insisted you had to have a valid Will before travelling! This is where the “Where there’s a will, there’s a way…” famous quote comes from. I’d wrongly assumed the “will” meant tenacity or similar. After Edinburgh, I drove north to Perth and then Inverness. This is known to be the cultural capital of the Scottish highlands and has an impressive castle overlooking the the River Ness. The red sandstone castle was built in 1836 by architect William Burn and on the site of an 11th-century defensive structure. 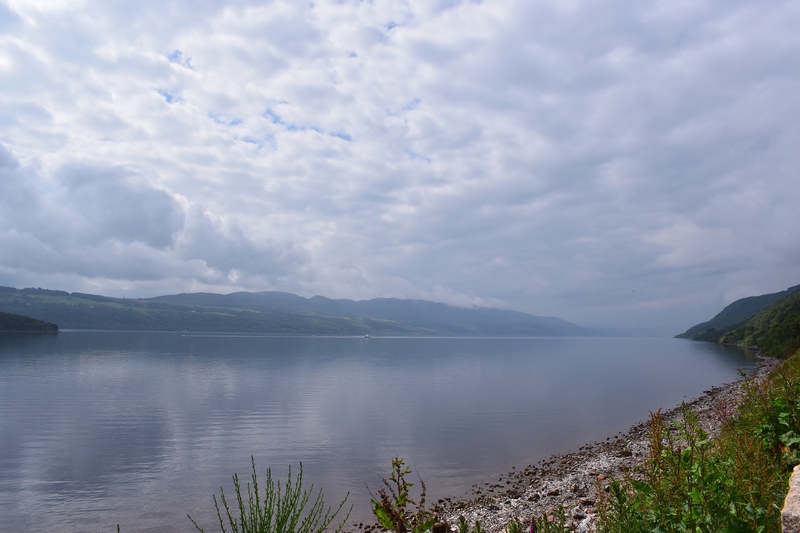 This is a lively and interesting town and of course, a great base for sightseeing the local area and the infamous Loch Ness. I drove around the Loch Ness and took the boat trip on the loch itself. The views are heavenly and this was my favourite landscape in Scotland. Exploring the area is fun and the scenery is spectacular. Plenty of places to eat and drink, although I find the pubs up north rather male orientated but a special mention must go to the fabulous Black Isle Bar which sells a great selection of craft beers, ales and yummy pizzas. I’m not a fan of pizza, but even I enjoyed it. 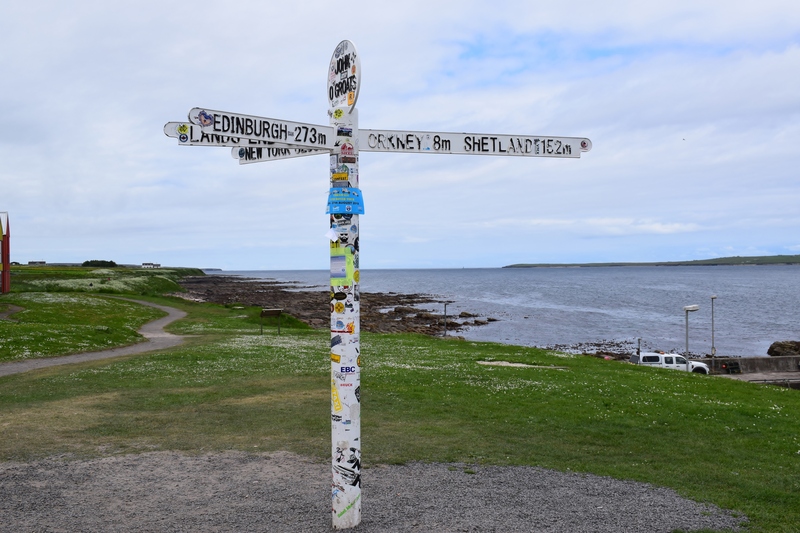 After this I decided it would be a clever idea to reach John O’Groats because, well, I’d got this far. All the driving during this adventure was exhausting but it is great to reach to top of the UK. Something you look at on the map and never expect to reach there. It is great to say you’ve been! However, contrary to popular belief, it is not the UK’s most northern point, Dunnet Head is, and this is much more inspiring. The rugged peninsula in Caithness has a wild landscape with spectacular vistas, coastal grasslands and a long list of birds including puffins, razorbills, guillemots and kittiwakes. Now, this is worth a visit. Next back towards the Ben Nevis area, Fort William. Unfortunately, I didn’t really realise how far it was and managed to find a place to stay in Fort Augustus for the night. This was a last minute find. I drove up a drive expecting a room and over chatty landlady, and was shown a large caravan with instructions to drop the key in the letter box by 10am the next day. Brilliant. I was exhausted and could chill out in the caravan. What luck! I don’t mind being sociable but not after driving forever and a day haha. Fort William is a pleasant town, but the heavens opened for the three days I was there and so the scenery did dissipate into a foggy mass. Never mind, onwards to Glasgow. This was a great city. Yes, I was surprised too. My favourite experience on this trip around Scotland. Full of vibrancy and interest although still cold and miserable. I was able to enjoy the glorious architecture, and immerse myself in the culture too. The city has so much to offer. 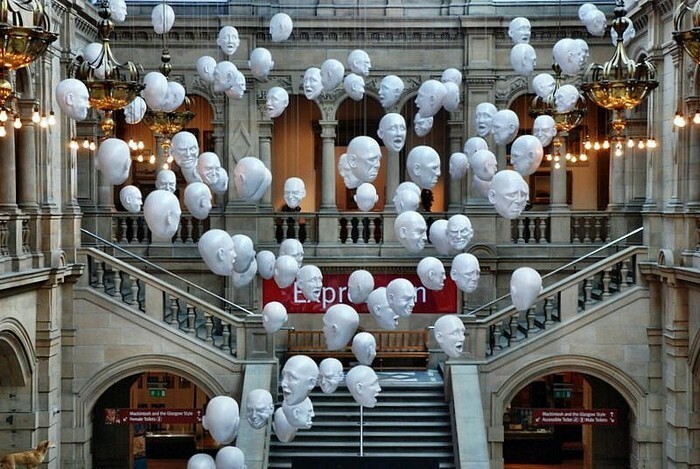 The Kelvingrove Art Gallery and Museum is a must do. I was lucky enough to be there when the Charles Rennie Mackintosh Exhibition was on and was incredibly fascinating. Before I left, the following morning I visited the Mackintosh House. A great way to finish my visit to Scotland. 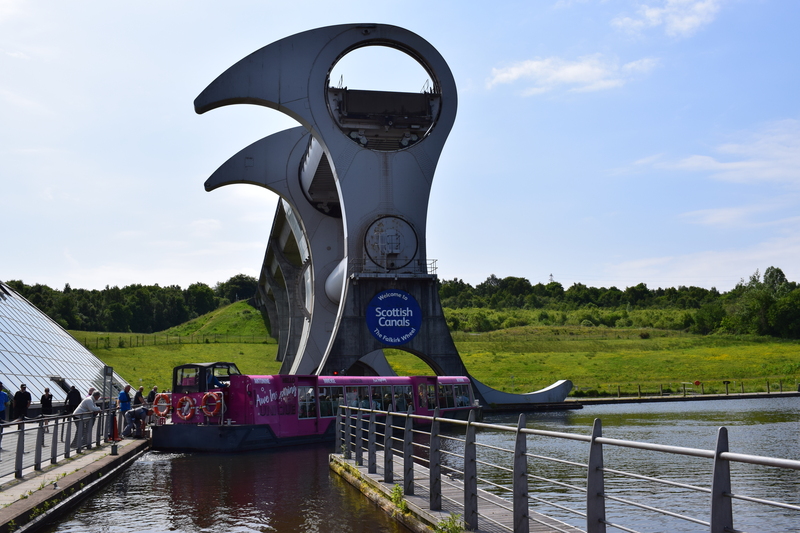 During the above visit to Scotland I did a few detours to such sights as the Forth Bridge/s and the Falkirk Wheel. ← Apartment or Hotel? Which is best? It all looks amazing! And that’s really fascinating about the origins of the “where there’s a will” quote. 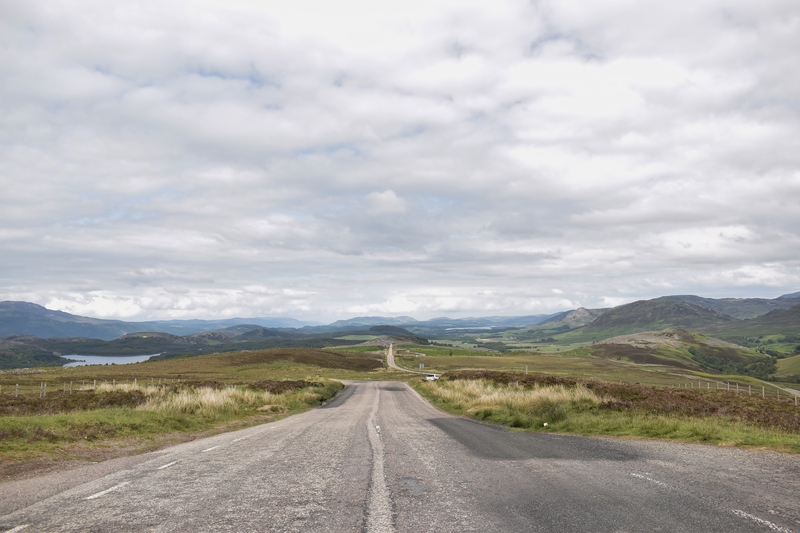 Good to see you back on the blog Andrea, and a nice over-view of Scotland. I’m over in the US at the moment, attending the Beer Bloggers & Writers Conference in a small town called Sterling, a short hop from Washington Dulles airport, and am typing this from my hotel room during a break in the proceedings. I’ll be travelling across to Ohio next week, to spend some time with my sister, so should have a bit more time to write and post stuff then. Best wishes to you both. Paul. Ah blogging, yes. I deleted my site in March & had a break thinking I would never return but here I am again with another new blog! Great! Let me know the link and I will follow. (WPress indicates theianhope deleted).